Hobart has a population of around 47,000. 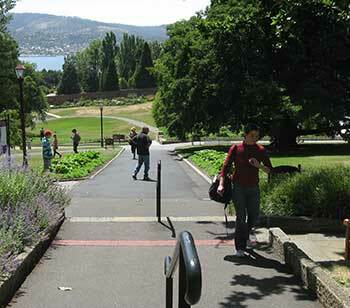 It is situated on the banks of the mouth of the Derwent River, beneath the slopes of majestic Mount Wellington. With such a lovely setting, it is no wonder that the city has been described as the most picturesque of all the capital cities of Australia. 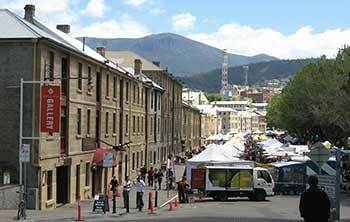 Hobart began as a convict settlement in 1803. By 1827 it had become a bustling trading port, and one of the whaling capitals of the world. 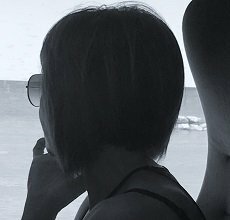 Even today, this city evokes a strong seafaring flavour and the harbour continues to be its lifeblood. Being the second-oldest city of Australia, there are many elegant historic buildings. Many of these were erected by convicts during the city's earliest days. The streets of the city centre are arranged in a grid round Elizabeth Street Mall (main shopping centre), hence it is easy to get around. So easy that I once spent a lovely morning in Hobart and was amazed at how much I got to see in just a short space of time! Arguably the most famous structure in Hobart, it is 1,417 meters long, longer than the more famous Sydney Harbour Bridge. 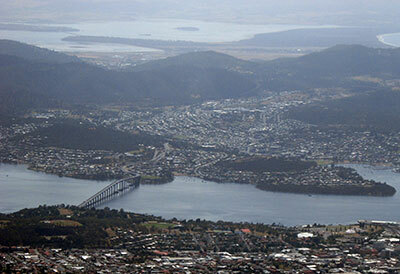 It crosses the Derwent River, linking the city centre to the eastern shore, where the airport is located. A row of beautiful old sandstone warehouses that have been converted into cafes, shops, art galleries and restaurants. It was extremely difficult to tear myself away! The delightful open-air Salamanca market is held here on Saturday mornings from 8.30am. This area dates back almost 150 years and started off as a mariner's village. I enjoyed a relaxing stroll through the alley-ways, as I admired the quaint cottages and well-preserved historic streets. As I wandered around, I was often rewarded with sudden unexpected glimpses of the harbour too. More pretty century-old warehouses and wharves which have been restored and converted into pubs and restaurants. It was great having a meal here by the water's edge, with so much to admire all around. It is here that the world-famous Sydney to Hobart yacht race finishes. Few humans can resist it. And when you have a factory-ful, it's almost a no-brainer. Built way back in 1922, the Cadbury chocolate factory welcomes visitors. At the visitor centre, you can sample the products, and of course make purchases too. 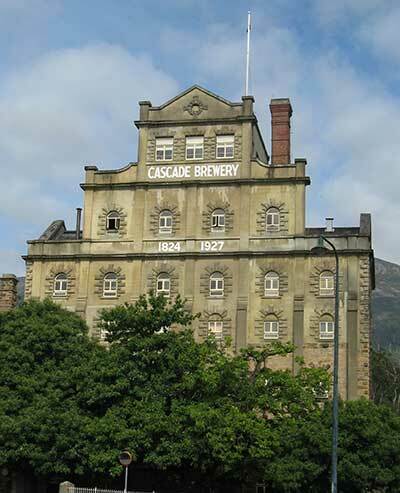 Built in 1823, Australia's oldest brewery will impress you with its chateau-like appearance. Tours are offered here as well, hence it is a must-visit for lovers of fine beverages, alcoholic or otherwise. Australia's oldest running theatre, built in 1837. Pleading against its planned demoliton, Sir Laurence Olivier referred to it as "a beautiful little theatre". See what you think! Hobart's earliest surviving building is the Tasmanian Museum and Art Gallery, constructed by convicts in 1808. I passed an easy couple of hours there, absorbed with the Aboriginal artifacts and convict relics. Most memorable for me was seeing what is believed to be the last remaining footage of the well-known but now-extinct Tasmanian tiger (or thylacine). It was hard to stop watching it, knowing that the doomed animal was to cease to exist shortly thereafter. Maritime Museum of Tasmania showcasing the strong seafaring heritage of Tasmania. Tasmanian Cricket Museum celebrating the passionately followed sport (religion, more-like) of cricket. Fans of flora will be happy to walk around the 14 hectares at the Royal Tasmanian Botanical Gardens, and view the thousands of plant species. Another of Australia's oldest buildings, although this time a very modern type of establishment. The first Australian hotel-casino awaits those who love a punt. It is the tallest building in the city. I cannot leave out the impressive 1270 metre high mountain that is the backdrop of the city. As locals will tell you, the peak is usually covered by cloud or snow. Mount Wellington offers some lovely walks and splendid views.